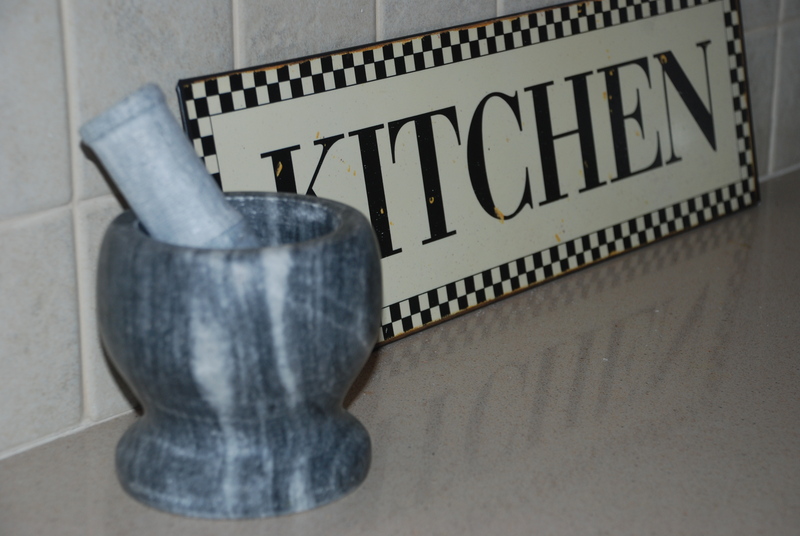 I have been looking all over Jerusalem for a mortar and pestle. I found a few but didn’t want lava stone or ceramic. I like this marble edition now setting on my kitchen counter top, just ready for use. The other day I was grinding down some garlic cloves to make paste to add to butter for cheesy, garlic toast. Yummy! With each turn of the pestle, the garlic changed to a thick liquid, and the scent permeated — not just the kitchen — but the whole apartment. It made me so hungry. he doesn’t use a wagon wheel to crush cumin. and with a stick he opens the cumin. The grain is ground to make bread. People do not ruin it by crushing it forever. but he does not let his horses grind it. who gives wonderful advice, who is very wise. If I were to continue to crush and bruise the garlic, it would disappear eventually and become useless. The wise farmer knows how to harvest spices and grain for bread. He treats each one in a special way that it will yield the highest fruit. He knows when to stop. God does not subject us to trials and tribulations for fun. He is looking for response. He is looking for his own image imprinted in our hearts. And the fruit and fragrance that is produced influences the people around us. But God knows when to stop crushing. Oh you said it so well!